I'm so overwhelmed with so many stories to share with you from this weekend I don't know where to begin, so I decided I better break it down in to several mini stories. 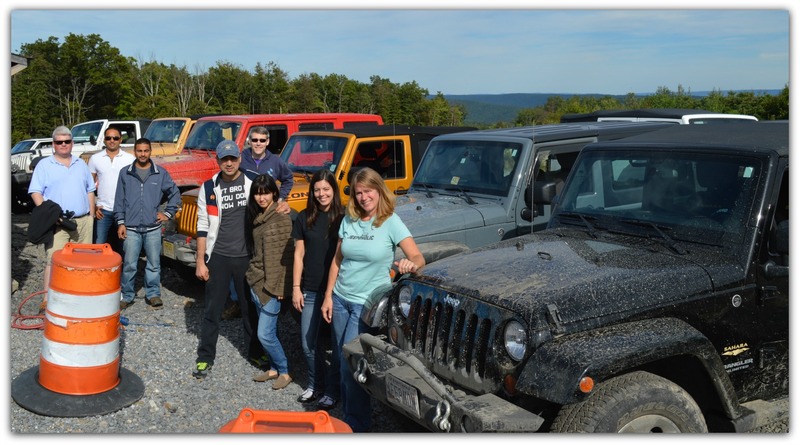 Yesterday, was my second off road driving class -- the Advanced Driving Course 201 at Rausch Creek just outside of Tremont Pennsylvania. It was my fourth time off roading. I set my alarm for 5am so I could hit the road early for the two and a half hour drive. Of course I didn't need the alarm because I was so excited for the day to begin I was up by 4:30 am. Once in the car the ride was pretty fast. You wouldn't believe all the Jeeps I saw on the road. Every time I saw a Jeep pass by a smile would form on my face. This one particular Jeep that passed me ended up being one of the other Jeeps in the driving course with me. They were two exchange students from overseas going to college in downtown DC. It's amazing how the love for Jeeps is shared across the globe. 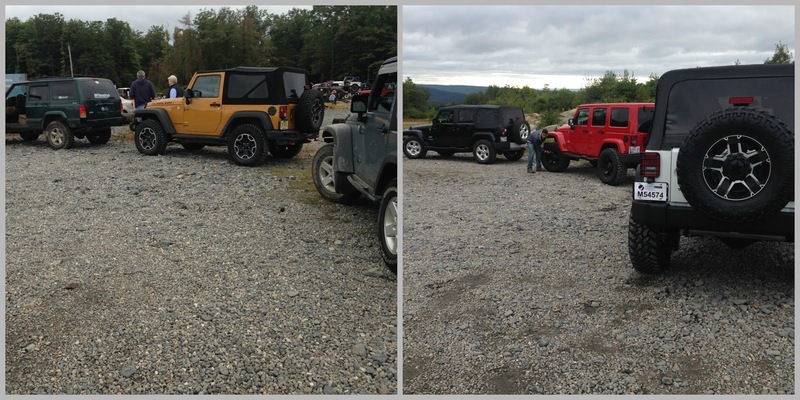 Once we arrived at Rausch Creek and checked in we headed over to the other Jeeps who were taking the 201 course with us. All together with the driving instructor there were seven Jeeps. Mine was the only 4-door stock. There was a 2-door stock Sport but since my wheelbase is longer I had the least amount of clearance out of all the Jeeps. There were some pretty intense moments. After airing down the tires - which by the way I'm going to have to invest in those "air down thingies" - Haha - That's technical Jeep Mom jargon -- we headed out for the greens and the blues. At Rausch Creek, like on ski trails, they name the trails for their difficulties. Obviously the greens and the blues are the least difficult trails. We all put our Jeeps in 4 low and headed out. I was lucky enough to find a friend to take with me in my Jeep. 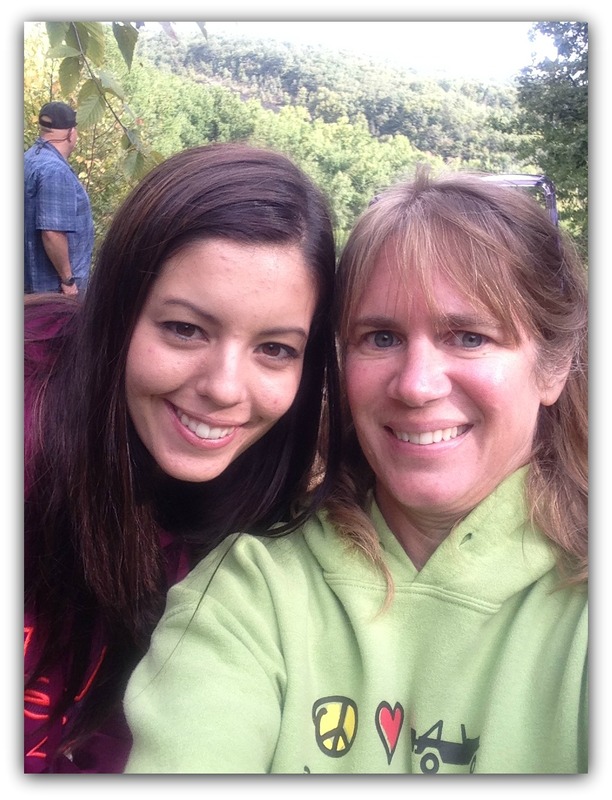 Amanda is a mom I met online who lives near Rausch Creek. She has a love for Jeeps just like me. But her love for Jeeps started many, many years ago. 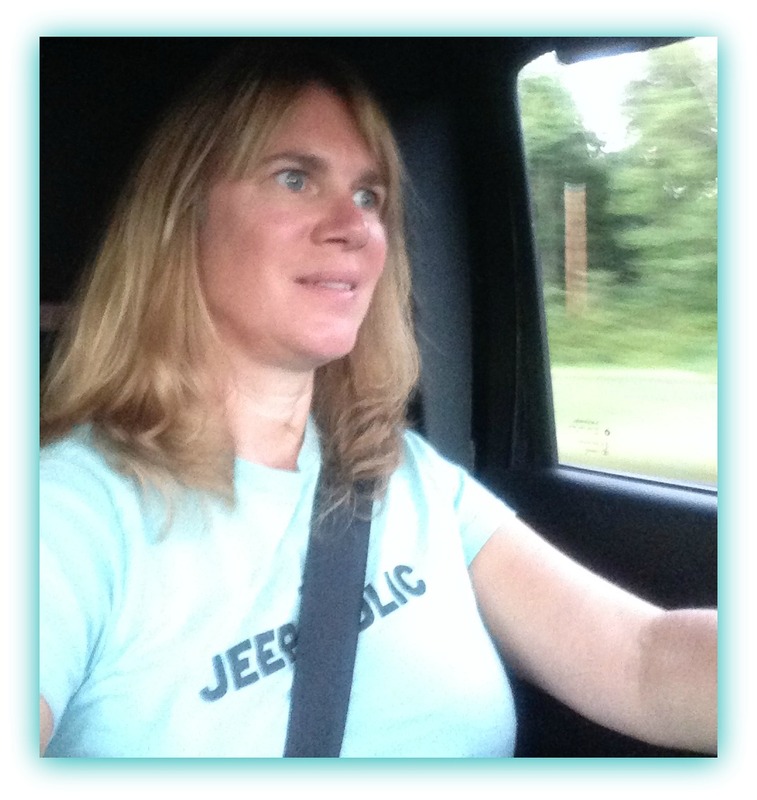 I will tell you more about my great new Jeep BFF in a later post - so stay tuned. Amanda ended up being my co-pilot. Any time you go off road it's a good idea to have a co-pilot in the passenger seat. Amanda was a jack of all trades. She took pictures and videos, spotted for me, which by the way she was very calm and precise and I felt confident with her judgement - something you need to have in a spotter. She also brought lunch -- the best sub sandwiches in the world! 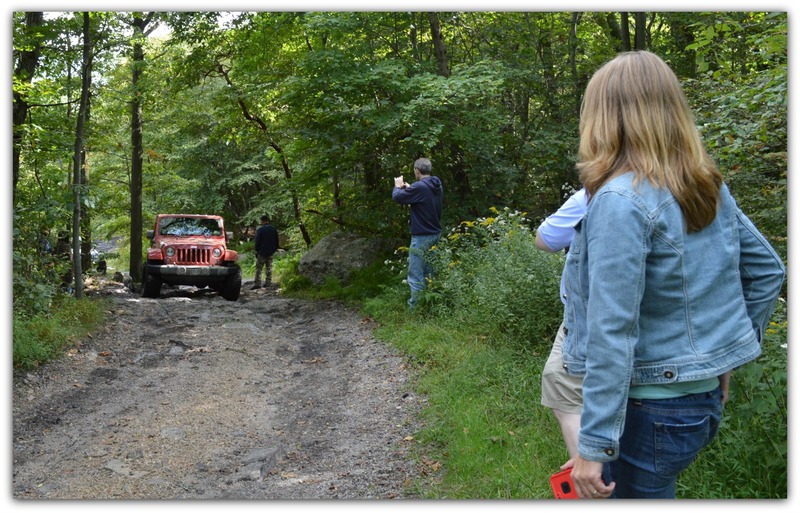 We spent six hours on the rocky, muddy trails at Rausch Creek. 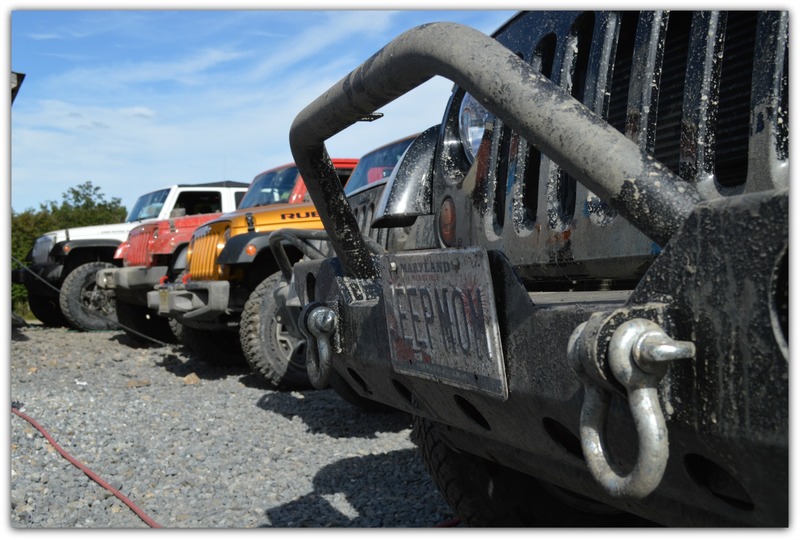 Some of the obstacles were pretty intense, especially in a 4-door Stock Wrangler and if you are not very experienced on the trail. But I felt confident in our driving instructor, Kyle. He has many, many years of experience and isn't going to put our Jeeps in danger of damage. His confidence and knowledge about the trails and Jeeps is what I needed to push my Jeep through some of the obstacles. Plus -- I need to remember how capable the Jeep is. Even my itty bitty stock Wrangler. Every time we completed an obstacle I kept wanting more and more. The adrenaline rush you get when you make it through the obstacle is addicting - a good kind of addiction. Although looking at these pictures and the videos the trails don't look as intense as they feel like inside driving your Jeep. The rocks look ten times bigger and the bounces feel ten times bouncier. And the clanging noises --- and scrapping sounds --- coming from underneath the Jeep --- can scare the Ba-jeezuz our of you. My Jeep faired really good considering my low clearance. 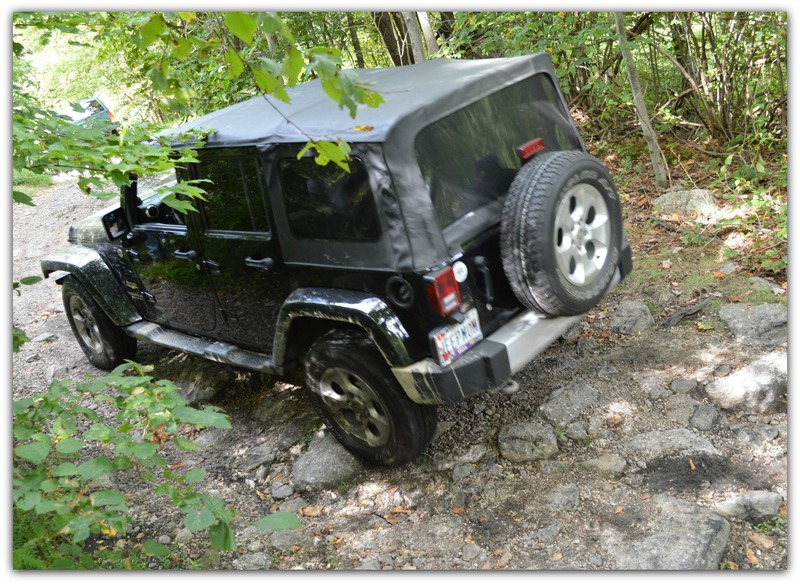 However, at one point there was a little trail damage made to my Jeep from one of the rocks. But, Kyle knew exactly what to do to fix it. 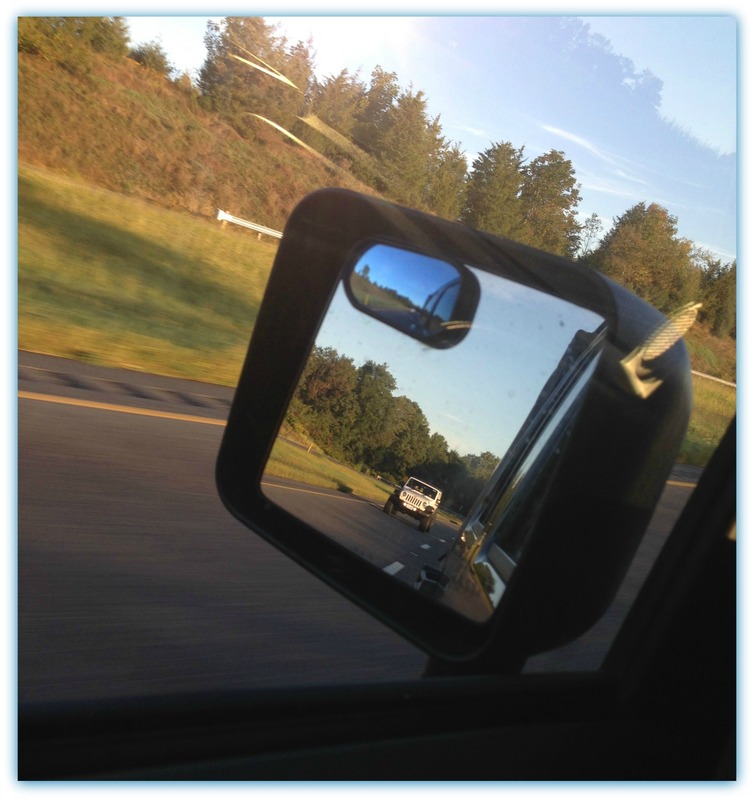 Stay tuned for more on Jeep Momma's close call. Also you may want to check out these video's. 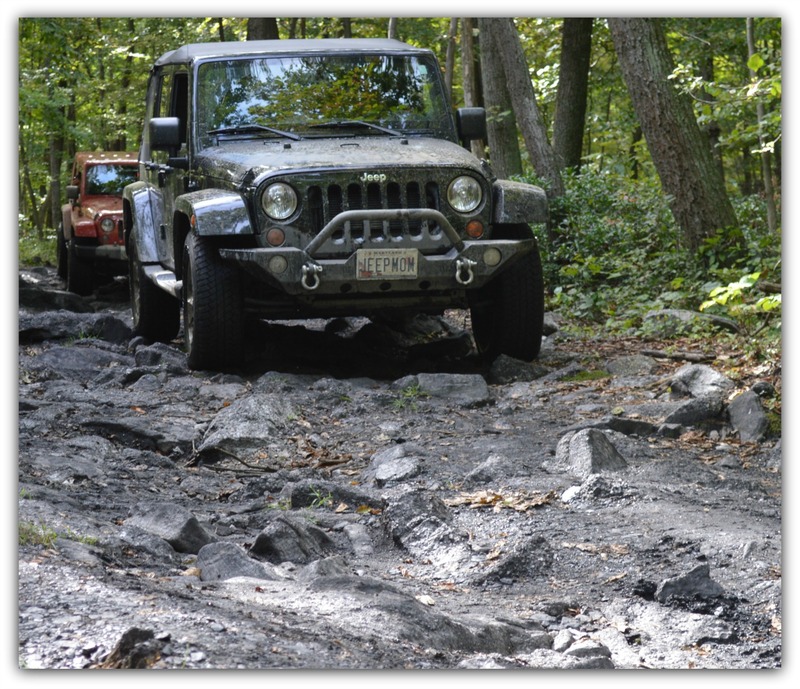 Just so you know -- it was really me and my Jeep out there driving through the large "baby" rocks on the trails. Stock Jeeps can Rock Too! It was a great day and I look forward to more trail riding, Jeep friend making and lots of Jeep transformations and modifications! The best thing was the new friends I made! I can't wait to join them again out on the trails.